How Are Some People Immune to Allergies? Autism can be described as a disorder of the senses – the brain relies on information gathered by touch, taste, smell, hearing and sight to help make sense of our environment. There is a close connection between smell and memory, and associating happy activities, images, or feelings with a certain smell helps calm and soothe the child while working on their social and motor skills. 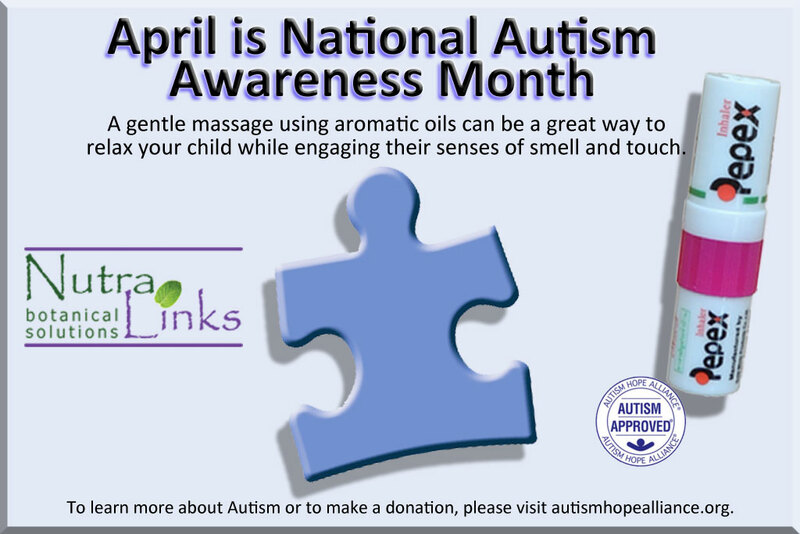 Aromatherapy is one of the easiest ways to stimulate an autistic child’s senses, and a gentle massage using aromatic oils engages multiple senses at a time – a great way to relax your child while engaging their senses of smell and touch. Pepex uses all natural eucalyptus and menthol oils – no side effects, no medications, and can be used as either a roll-on topical for massage, or as an inhaler. The information in this website is for educational purposes only and is not intended to replace, supersede or substitute medical advice.